Papers and exams can be a point of stress for first-year students, but it’s not the kind of stress that Mike Wehrer knows. Wehrer, a freshman communications major and current managing editor of the Behrend Beacon, is a member of the United States Air Force Reserves. 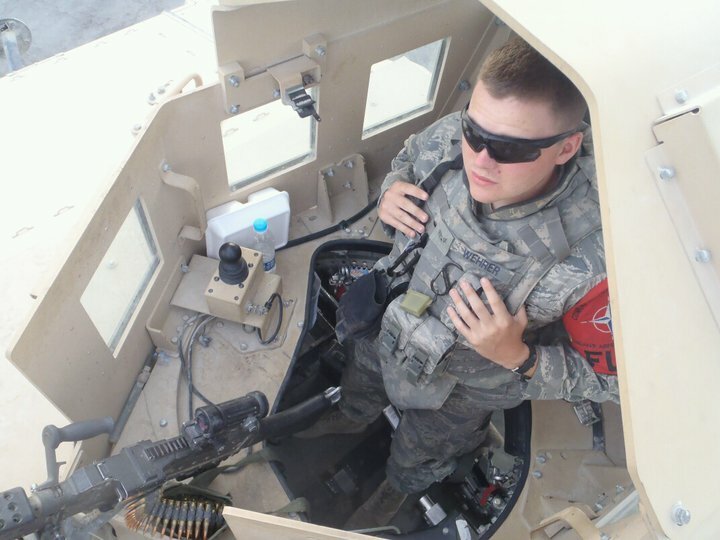 The 23-year-old Girard, Pa., native spent a half year deployed in Afghanistan in 2011, and it’s safe to say college exams pale in comparison to some of the things that Wehrer experienced. In honor of Veteran’s Day, I decided to catch up with Mike to get his thoughts on the national holiday and find out what personal significance it holds for him. While many Americans may think of Veteran’s Day as just another day off of work, for Mike and more than 21 million others, this day is a part of their identities. Steve: Hi Mike, thanks for taking the time to chat with me. Could you give me a feel for your background and what ultimately led you to enlist in the military? Mike: Well, I started out at (Penn State Behrend) out of high school, but basically ended up dropping out after two semesters. I wasn’t a good student and I lacked motivation. It made sense to join the military to help pay off the student loans I already had, and also to help provide the discipline and motivation I needed to grow up a bit. Steve: When did you enlist in the Air Force Reserves, and what was your experience like from there? Mike: It was December 2, 2009, and I was 19. I left for basic training in February, I think it might have been Valentines’ Day actually, and that was at Lackland Air Force Base in Texas. Then I entered the Air Force Security Forces Academy. From there, I joined my current unit at Niagara Falls at Niagara Falls Air Reserve Station. I was told when I got there that I’d be on the next deployment. Steve: Wow, that had to be startling to have the deployment come so quickly. Was that scary? Mike: It’s what I wanted. The reason I joined security is because it’s the most deployed career field in the Air Force. I thought it would be a good thing for my career. I want to be a war correspondent and an embedded reporter, and I thought it would be a good resume point. Steve: When was it that you were actually deployed, and what was it like once you got to Afghanistan? Mike: I left Erie in May, but I actually hit Afghanistan on July 7, 2011. There’s a famous quote, I’m not exactly sure what it is, but it’s along the lines of “there are long periods of boredom punctuated by moments of sheer terror.” I was security for Kandahar Airfield, which basically meant I was controlling access onto the airfield and responding to rocket attacks. Steve: What was that pressure like? Was it difficult to have such responsibility right away? Mike: You kind of didn’t have a choice but to do it. You had to accomplish it. If you didn’t, they’d find someone else who could. Steve: Switching gears a bit, when did you come back to the United States, and enroll back here at Behrend? Mike: I left Afghanistan on January 15, 2012, and I got back on January 20. It’s been four years since I was last enrolled here, and I applied for and basically got an academic reset. That’s not what it’s called, but that’s basically what it did. It allowed my GPA to go back to zero, so I could start from scratch. Steve: Was returning to college always a goal of yours? Mike: It was always a goal. I knew what I wanted to do. Steve: Why did you choose to come back to Behrend? This fall, Victory Media once again ranked Behrend among the top 20 percent of Veterans Affairs-approved institutions based on the services and resources they offer to military-connected students. Did that factor into your decision at all? 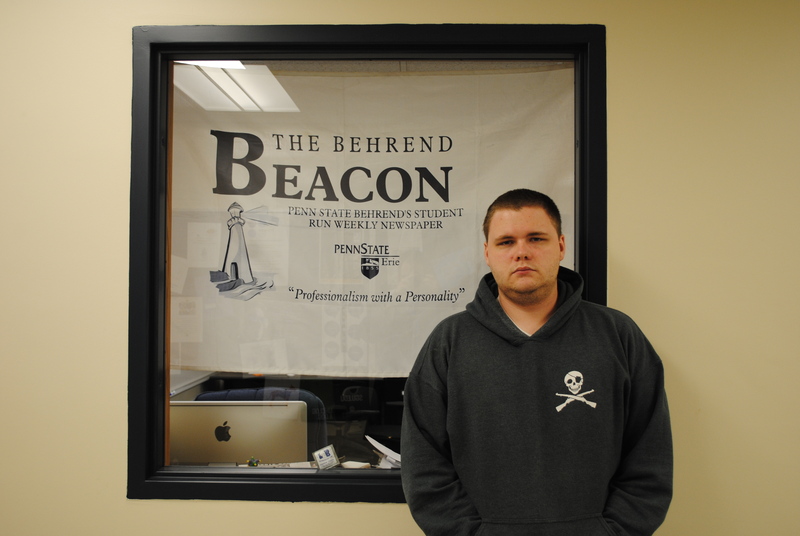 Mike: I had been freelancing last year for the Behrend Beacon, and I knew that I could get a good position on the paper right away. If I went to any other school, I didn’t know if I would have those opportunities right away. Steve: Would you say your experiences overseas have had an effect on your current college experience? Mike: Yeah, definitely. It’s small changes, like I always look around a room whenever I walk in it. Half of that is my deployment, and half of that’s just being a cop. As far as academically, it kind of made me realize how easy college really is. Steve: To follow up on that, you mentioned earlier how you initially enlisted in the military to help improve your discipline and motivation. Do you feel as if your experience overseas has helped you do that? Mike: I definitely got that. I have realized that not going out on the weekend, and having to stay in and do homework is not a big deal. There are much harder things that I’ve gone through, and that I’ve seen others go through. This is all easy, and it’s easy to make these sacrifices. Steve: With Monday being Veteran’s Day, can you give me an idea of how it feels for you personally on that day? Mike: It’s hard to define. It makes me proud. I’ll probably wear a pin or something. The VA class defines me as a combat veteran because it was a combat mission, but I don’t see myself as a combat veteran because I never had to fire my weapon. So, I still don’t like to call myself a combat veteran because I know guys who have been shot, wounded, or had to kill someone, and to put myself in the same class as them seems not disrespectful but close to it. Steve: As a veteran yourself, how would you suggest people go about honoring this holiday? Mike: It’s the small things. Thanking people in uniform means a lot to veterans. Making a donation to something. And, of course, there are a thousand different organizations that you can donate to. Give time, money, whatever you can. My dad has worked with homeless veterans at the VA, and a lot of people don’t realize how many people can’t cope with coming back. You can also always send care packages to those who are still over there, especially now that we’re getting closer to Thanksgiving and Christmas. 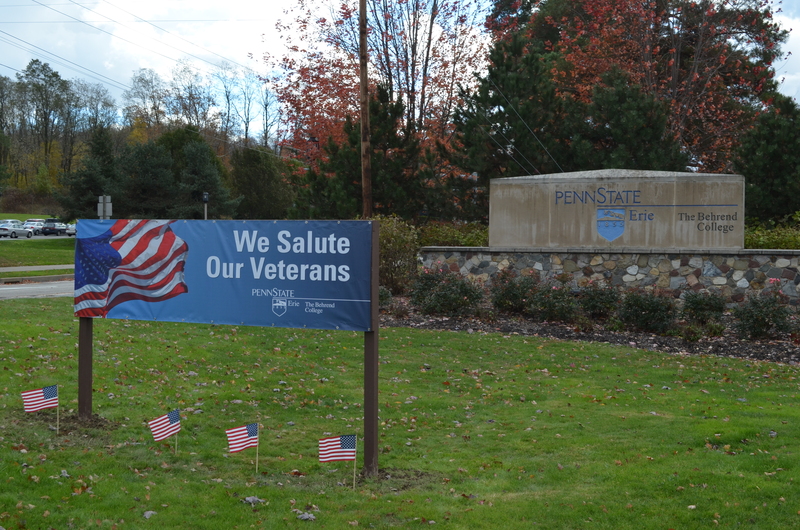 This entry was posted in Around campus, Student News, Veteran's Day and tagged Penn State Behrend, Students, Veteran's Day. Bookmark the permalink.